USD: USD To Recouple With US Yields. Bullish. We expect USD to recouple with rising yields and strengthen against low-yielding currencies. The reflation trade remains in tact. We don't expect President Trump's comments about USD strength to sustainably impact USD and think sustainable USD weakness would only come from disappointment on the policy front. If Trump moves towards protectionist policies, we still expect USD strength (particularly from border adjustment). However, these USD gains would be disproportionately against EM currencies. EUR: Driven by the USD. Bearish. We continue to be sellers of EURUSD* as we expect broad USD strength to drive this pair. The Eurozone economic data and European Union commentary are not major drivers of the EUR side. An underlying dovish tone from the ECB does help. Last week Draghi suggested that policy should be tightened only when inflation is sustained and euro-area wide, implying that the ECB may remain accommodative for some time, given the wide divergence between the core and periphery economies. A faster rise of the US treasury yield relative to the bund helps the trade. JPY: USDJPY to Rise With US Yields. Bearish. USDJPY once again failed to break through 112.50 and we continue to expect it to rise in line with our mediumterm view. JPY short remains our preferred reflation trade: with US fiscal and monetary policy leading to higher interest rates in the US, the BoJ's yield curve management ensures that Japan's yields remain relatively low. JPY positioning is more clean now with the recent fall in USDJPY, supporting ourview. GBP: BoE's Inflation Report in Focus. Bullish. We think there is potential for GBP/USD to rally back to at least 1.27/1.28 before moving lower again towards our quarter-end target of 1.17. Recent commentary from the Spanish foreign minister has been encouraging for the Brexit negotiations. The parliament will likely pass the bill on Feb 8 to be able to trigger article 50. The market is still short GBP, suggesting that there is room for positioning adjustment to lift the currency. 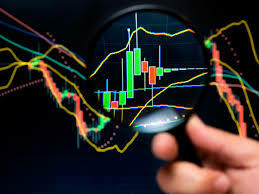 This week the market focus will be on the BoE's inflation report. CHF: SNB to Limit Upside. Neutral. The CHF should continue to weaken vs the USD and stay stable vs the EUR. We continue to expect the SNB to intervene in EURCHF if it appears to be falling too quickly. A level we are watching is around 1.0650. The SNB should continue to keep rates at current levels as inflation has surprised to the downside in Switzerland as the rest of world's rates rise with reflation. CAD: Fade CAD Strength. Bearish. We like fading recent CAD strength for a few reasons. First, the market hasn't priced in the very dovish BoC from last week and needs to price a flatter curve. Second, the CAD is not priced for any meaningful chance of trade protectionism but will be heavily impacted if border adjustability is enacted. Third, Canada's economy has not rebounded in line with the US and Canada's output gap is widening. We don't expect CAD to benefit much from the Keystone pipeline or small changes in oil prices. NZD: Outperformance vs AUD. Neutral. We still see the NZD outperforming the AUD over the medium term, with this week's positive CPI print supporting ourview. We don't see RBNZ pricing as exterme right now and despite NZD TWI strength, expect the RBNZ could remove its easing bias in the upcoming meetings. Ultimately, NZD will be vulnerable to any fall in risk appetite or a downturn from China but still less so than Australia (whose domestic picture is also weaker).